Julie Corcoran, MSc in Education and Training has over 25 years’ experience as an instructor. Julie commenced her career as a hairdresser with the David Marshall School of hairdressing where Julie progressed to both Instructor and Manager of the David Marshall School of hairdressing in Fade Street Dublin. 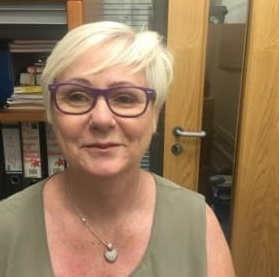 Julie ran a successful Hairdressing salon for a number of years before joining the former FASat the Loughlinstown Training centre as the hairdressing Instructor.